Kickstarter Odds: What RPG Rolls 20 to Retail Success? Home > News > Entertainment > Kickstarter Odds: Which Role Playing Games Will Make it to Market? Kickstarter Odds: Which Role Playing Games Will Make it to Market? RPG board games might be a niche market, but they are popping up on Kickstarter on a daily basis. But trust me, there is a reason we are seeing so many game developers on Kickstarter. Last year a game called Kingdom Death: Monster raked in over $9 million in pledges for its gruesome and graphic miniatures game. It became one of the most highly-crowdfunded and controversial projects ever to succeed on Kickstarter. (Who doesn’t want to sever a lion’s testicles for giggles?) It’s become so popular that it’s hard to get your hands on the $400 game. If you’re reading this article, odds are you already know a bit about RPGs, and what I’m about say is old news. But for those who aren’t in the know, essentially RPGs group games in which players assume the roles of characters in a fictional setting. The players act out these roles either through improvisation, or structured decision-making or character development. All player actions and decisions either succeed or fail according to a formal system of rules and guidelines which are typically enforced by a gamemaster. While some RPGs are beginner friendly, others are far more sophisticated and can be quite intimidating to the uninitiated. They can feature a lot of overwhelming details, and throwing around terms like “percentile system,” “d20,” amd “block system” with no explanation can make your head hurt. Regardless, the RPG has come a long way since Dungeons and Dragons. For an idea of how role-playing games work, remember that scene in Stranger Things? Not all RPGs have stories about firebombing a Thessalhydra. Some narratives take you to different times in history, others have you rolling dice in hopes of surviving the zombie apocalypse. There are many different scenarios and stories, all with different rules. Back in the day, when serious gamers got tired of the existing fare, they would either change up established games to make things more interesting or create their own. Thanks to Kickstarter and other crowdfunding sites, these gaming ideas have gone from hobby to established and fully funded reality. Some campaigns are less ambitious, seeking just a couple thousand dollars to make a prototype or a few dozen copies. It’s a good starting point for new game designers who just want to create something that players will enjoy. But there are plenty that reach for the stars, hoping to find big cash to support large ambitions. A lot of those lofty ambitions fail, and the games never make it to retailers; Kingdom Death is not the norm. But there are game designers who do eventually strike gold and find their games going well past their crowd-funding goals. Which current RPG games on Kickstarter are we likely to see in stores (online or brick & mortar) in the coming year? As we have done in the past with other products on Kickstarter, I went through a bunch of the new and popular games and picked five that intrigued me. Below are the odds that each one will make it to market. These fun odds were decided based on game scope, creativity, pledges and, of course, a roll of the dice! This cooperative modern fantasy tabletop features gorgeous miniatures with Tactical RPG (TRPG)-inspired storytelling and gameplay. It’s for 1 to 4 players and is set in the world of dreams and magic. Imagine waking up from a nightmare only to discover that others had the same dream and it’s manifested itself into the real world. Players choose a Shared Dream scenario at the start of the game, and each has its own set of unique objectives. There are 6 unique player characters that are made up of handcrafted miniatures along with a modular city that changes with every playthrough. As of right now, this game has well surpassed its goal of $30,000 and is on its way to becoming a Kickstarter success story. It’s a game that looks well polished with great design attributes that has a solid chance to find life in retail stores. 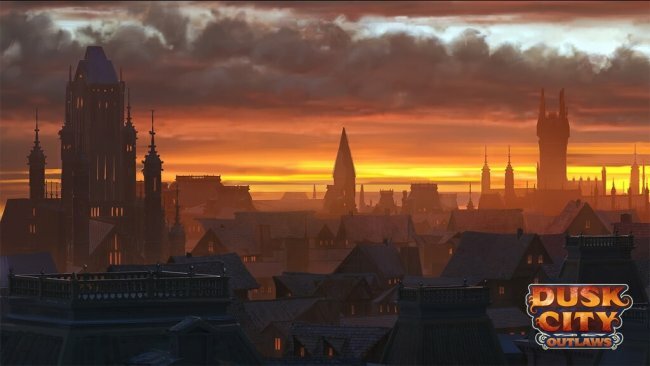 With a pledge goal of $65,000, Dusk City Outlaws is an ambitious Kickstarter RPG. But it also has a designer in Rodney Thompson who has been writing and creating games for well over 15 years and has worked on many different successful RPGs. Now he is venturing out on his own to bring this huge game to the masses. Focused on thievery and heists, gamers play as members of eight cartels that rule the criminal underworld of a massive fantasy city. It gives players a chance to come up with daring heists or long cons without slowing the game down. With gorgeous artwork and a ruleset that is easy and quick to understand, it’s no surprise that it’s just $10,000 shy of reaching its lofty goal (and gaining momentum). Thompson has created a fantastic team and, the more money he can raise, the more he can expand upon the base of this aesthetically pleasing game. 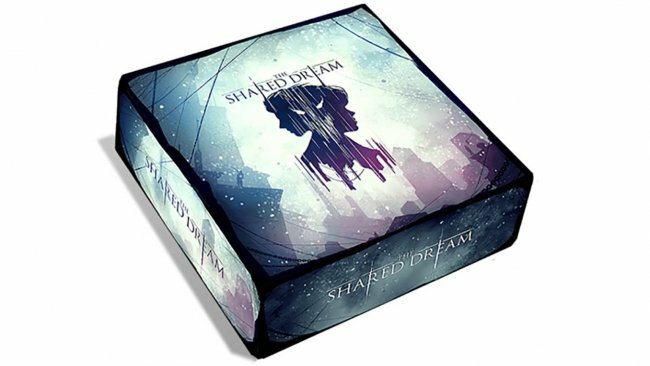 This game comes from the mind and imagination of experienced gamer and Kickstarter campaigner Jason Pitre. The Canadian has created a multiverse world centered on the one true city of Sig. It’s described as a cosmopolitan planar fantasy tabletop RPG with rules that embrace creativity, teamwork, and improvisation. The narrative themes focus on family, faith, and cultural politics which are all woven into the mechanics of the game. 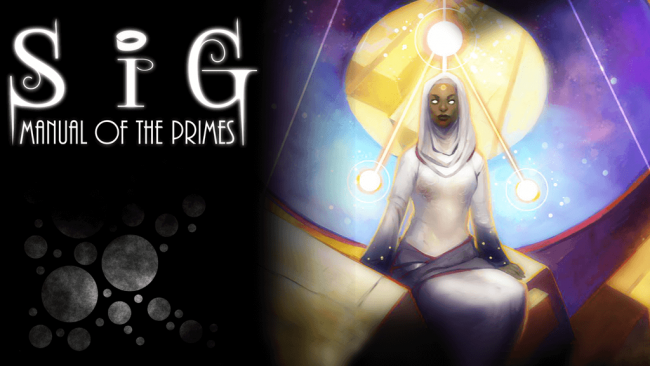 Pitre is now looking to fund the game’s book, Manual of the Primes, complete with brilliant artwork which will be available in 6″x9″ hardcover. As I write this, the game has already surpassed its $8,000 goal. It’s looking like Pitre will have this game in the hands of backers sooner rather than later. Whether the game will be entertaining enough to have staying power is not yet known. But Pitre has experience and a great reputation on his side. It won’t be surprising to see this game expanded upon and rise in popularity as players enjoy venturing into the eternal planes of existence. It could be in a store near you in the years to come. Cold Shadows is in a good position for success. Inspired by authors like John le Carre and Robert Ludlum, it separates itself from formulaic story games by putting players in a Cold War-era setting full of spies and espionage. The ruleset is based upon games like Blood & Honor by John Wick Presents and World of Dew by Woerner Wunderwerks. The game has already surpassed its goal of $5,000 and is currently creating a very nice buffer as pledges continue to roll in. There are a lot of experienced people from around the world working on this game and so it appears this has the makings of not only being a fun game but another Kickstarter success story. 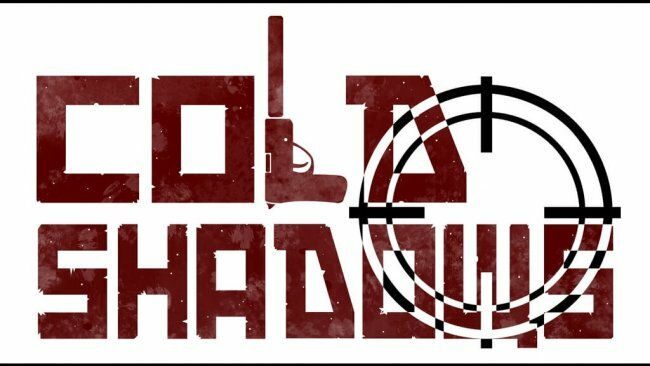 Whether that translates into Cold Shadows becoming a retail success story is, of course, much less certain. The designers don’t seem to have the grandest ambitions. But here’s hoping. 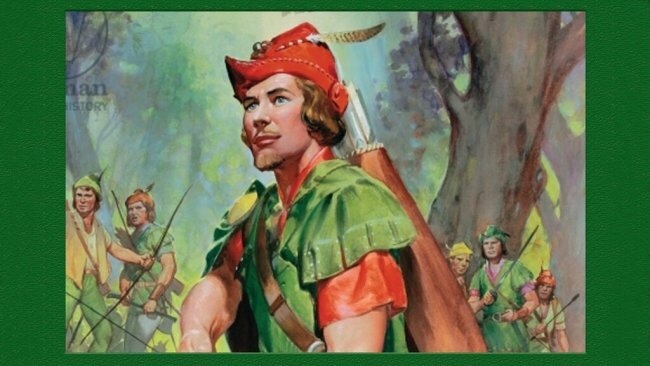 How cool would it be to be one of Robin Hood’s Merry Men or part of his team of revolutionaries fighting the evil Sheriff of Nottingham and King John? Now you can with Fearlight Games’ new fantasy RPG Hood: Swashbuckling Adventures in Sherwood. This game comes from the makers of Baker Street: Roleplaying in the World of Sherlock Holmes and uses your standard Stunt system where you name each and every one of your attacks, defenses, and actions, improving all three after every session. The Story Pool system will require you to work skills, professions, virtues, vices, traits, equipment, and stunts into every role of the dice. The game is creeping closer to its $5,000 goal and should surpass it easily. There are different reward levels for backing this project and there are options to get a softcover or PDF version of the book. Eventually, they are looking to release a limited edition hardcover version. Designer Bryce Whitacre has a wealth of experience with other RPG titles. With the theme of his latest project being robbing from the rich and giving to the poor, this game could be the perfect escapist tonic for modern times.